To examine the hymn as a literary form, then, we must examine these limitations. First, the hymn is designed to be sung. Even if the writer has no specific tune in mind as he writes, he must have a potential tune. The metre and rhythm of the words must be essentially tuneworthy. Here at once we see how different is the hymn from ordinary poetry. The old ballads of the Middle Ages were designed for song, so were the lyrics of Sir Thomas Wyatt and those of the Elizabethans who followed his fashion. But since the Elizabethan period the art of poetry and the art of music in England have parted company. Yet hymn and tune must always be wedded. Quite as important as stress is punctuation. The natural sense break in a stanza of a hymn must come at the end of a line, and not at the caesura. Words and tune must make their break together, and there must be no enjambment from the end of one line to the beginning of the next. A great hymn like “Lead, kindly Light” can lose all the joy in the singing simply because the congregation is trying to make sense out of the words, and the organist is trying to make sense out of the tune—and they must always be at cross-purposes. It is not fair to the composer. It drives him to write a sentimental tune, and to widen still more the gulf at the caesura by inserting hieroglyphics, (p), (f), (cr), beside the comma and colon and semicolon. Footnote 1ALBERTA, of course, skilfully avoids these difficulties; but no other tune to these words does. — Ed. It is true that these severe demands of strict metre and end-of-line pause are extremely exacting. It is very hard even for a good hymn-writer not to descend sometimes to the subterfuge of inversion. But this is a crime which Wordsworth forbids to ordinary poetry in the Preface to the Lyrical Ballads. Ruskin has said that the best test of great poetry is to write it out as prose and see if it makes sense. This test shows up at once the weakness and ridiculousness of much inverted sentence structure, and is an excellent test, too, of a good hymn. This is the besetting sin of the paraphrases of the Scottish Psalter. No four-line stanza ought to require more than four punctuation marks. It might seem, too, that this necessary’ metrical discipline would make for monotony. But this is not so. Indeed, almost every one of Isaac Watts’s enormous number of hymns is in common, short, or long metre. Form can never produce monotony if the matter is good. This is not to say that these three metres alone are suitable for hymns. The versatility and fine workmanship of Charles Wesley prove that great hymns can be moulded in many shapes. 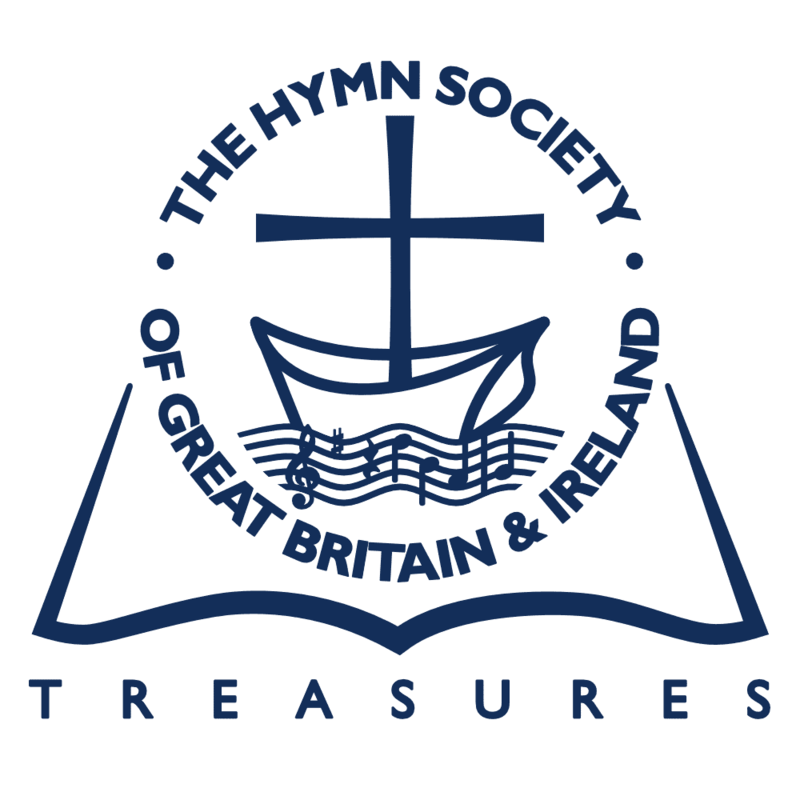 But though the length and number of lines and stanzas may vary, there are only two kinds of feet which are eminently suitable for hymns, and almost all the hymns in our books are in trochaic and iambic metre. This again is a necessity demanded by music. Cowper has achieved the miracle of a perfect hymn, “Longing to be with Christ” in dactylics. It is an exquisite thing, and only Cowper, who uses this medium sometimes in his secular poetry, and who has intrinsic in him all the grace of the eighteenth century, could have done it. But still the hymn is not suitable for singing, and as far as I know is not set in any of our hymn-books simply because the rhythm is fast and furious, and demands the music of a waltz, rather than of a hymn. His hand hath hung on high. “Art thou a sinner, soul?” he said. Yet another of the hymn’s limitations is that it must be short, so that it takes only a few minutes to sing, and does not upset the balance of the service. There were giants in former days who could stand considerably longer services and sermons and singing. A great-aunt of mine used to play the organ in a tiny country church in Dorsetshire, and told a tale of one service in which the minister rose and announced “We will sing the 119th psalm—the whole o’ un.” We would boggle at singing “the whole o’ un” to-day, but most hymn-writers limit their hymns to a suitable length, and the question does not arise. But if a hymn is too long for congregational use, the writer has to pay the penalty of having his work amputated by the compilers of hymn-books. Watts’s great hymn Join all the glorious names of wisdom, love and power” has twelve magnificent stanzas, of which only a selection appears in our hymn-books—simply from practical necessity. The selection is bound to be an arbitrary one, for all the stanzas are fine, so that we are almost compelled to wish that Watts might have contrived to melt down this one masterpiece and mould it into two. The final and perhaps the greatest limitation that hedges the work of the hymn-writer is that the hymn is for use by a congregation. That is to say, though it is bound, if it is great, to be the product of one man’s intense spiritual experience of God, it must at the same time speak something which all Christians feel, and not the writer alone. It is, on a higher plane, the same necessity that is laid down by Aristotle in his rules for tragedy which all great dramatists fulfil; the tragic hero must have thoughts and passions and characteristics that are universal, so that he is always man, eminently understandable whatever bounds of time and space separate him from his audience. So must the hymn be universal, and more than ever now the world-wide Church is an established fact. Perhaps it will seem that we are straying too much from the subject of form to that of substance. But the two things cannot be kept in water-tight compartments. And the form of the hymn, more than of any other kind of literature, is determined, or at least strongly affected, by its substance. If a hymn, then, is to be understood by all who sing it, it must be in simple language. The great maxim for poetry which Wordsworth laid down in the Preface to the Lyrical Ballads may or may not be accepted for poetry, but it is an excellent and absolutely necessary maxim for the hymn. The hymn-writer must use a selection of the real language of men. He is not, as Wordsworth describes the poet, a man speaking to men, but, even more important, a man speaking on behalf of men to God. In the preface to his hymn-book Isaac Watts writes: “I have avoided the more obscure and controversial points of Christianity, that we might all obey the direction of the Word of God, and sing His praises with understanding.” I think Watts would have agreed that it is as important to avoid obscurity of language as it is of dogma; both must be eliminated if a hymn is to be effective. Once we have grasped the significance of all these limitations we will soon see what the compilers of some of our hymn-books seem to have failed to see: the insuperable difference between a religious poem and a hymn. Just because a poem is not secular; because it talks about God and the soul and the heavenly beauties of the spring, instead of love and the body and the earthly beauties of a lovely woman, men have thought it fair prey to be set to a tune specially written by a modern composer, and included in our hymn-books. But the complicated metaphysical beauties of Donne, the mystic ecstasies of Traherne on the theme of infancy, and the strugglings of Tennyson to find comfort in bereavement are not and cannot be hymns. They are beautiful, some are great poems, but as utterances of the faith of a congregation of Christian people they are of no more use than the choruses of a Greek tragedy. I see Thee face to face and live. Every good hymn is an exposition of some part of the Christian faith, and that involves the greatest horror and the greatest glory that the world has ever known—the greater in that the desire to express it is not the personal experience of a single hymn-writer, but of every believer. The greatness of the hymn is multiplied by every Christian who understands it and endorses it. It is, however, true that the necessary rules and limitations of the hymn make an unrivalled capacity for possible doggerel. Bad free verse is merely pathetic. But verse that is confined in the bounds of strict metre and rhyme and stanza-form is more than pathetic when it is bad, it is usually ridiculous. But that is a rare jewel. The author of it has written but few hymns; and it can be said without qualification that the great masters of the hymn have been those who were steeped in their Bibles. The Authorized Version contains some of the greatest literature of the English language, both of poetry and prose, and the great hymn-writers from the seventeenth century to the present day have been those who were completely familiar with this language, and who could paraphrase the Word of God into the rhyme and metre, and stanza form, of a hymn. O’er hills of guilt, and seas of grief. That last stanza, too, illustrates the other method of using the languages of the Bible: not by direct paraphrase, but by weaving together with the author’s own words all the references and texts that he needs to illustrate his theme. This is by far the greater art, and is even more difficult than the other, but it has produced the best hymns of all. Indeed, the best way to realize how much the greatest hymns owe to the Bible is to examine carefully hymns like Wesley’s “Jesus Christ is risen to-day,” Newton’s “Glorious things of thee are spoken,” or Montgomery’s “Hail to the Lord’s Anointed,” and mark in the margin the source of every Biblical quotation or reference. But do not think that creating such a hymn is as easy as fitting together the pieces of a jigsaw puzzle. In the Bible the aspiring hymn-writer has not only all the material he needs or ought to need, but all the vocabulary and phrase ready to hand. Yet he must handle it reverently, for it easily spoils, though in the hands of a master it will find new beauty. and he and Watts are often fond of calling themselves “worms” in phrases that unfortunately bring a smile to our sophisticated lips. Yet the marvel is how much rarer this sort of thing is in hymns than in the secular poetry of the same period—simply because the writers kept to their Bibles. And how much more temporary jargon will modern hymn-writers hand on to other generations unless they learn this great lesson. The hymn as a literary form is not given the honour that is due to it. It is, or can be, the greatest of all literary forms and creations. The poet uses the words of man, and his inspiration is of the Nine—the Muses. The hymn-writer uses the Word of God, and his inspiration is of the Three—the Father, the Son, and the Holy Ghost. 1. ^Footnote 1Jump back to footnote 1 in the text ALBERTA, of course, skilfully avoids these difficulties; but no other tune to these words does. — Ed.